The measure will now go to US President Donald Trump’s desk. The president will have the option of signing into law the sanctions targeting Russia's energy, defense, and intelligence sectors or exercising his veto power. The vote passed 98-2 but only needed a simple majority of 51 votes. The two US senators to reject the bill were Rand Paul of Kentucky and Bernie Sanders of Vermont. The US House of Representatives overwhelmingly voted in favor of the sanctions bill on Tuesday. The chamber voted to attach Iran and Russia to a bill that originally targeted North Korea, which is what the Senate had requested. The bill passed by the Senate retains the stipulation that any attempt by the White House to lift or relax sanctions must go through the US Congress. Kremlin spokesman Dmitry Peskov called the news "sad from the point of view of Russia-US ties," adding that "we are talking about an extremely unfriendly act." The sanctions express an "extra-cynical" view of Washington-Moscow relations, Russian President Vladimir Putin said ahead of the Thursday vote. 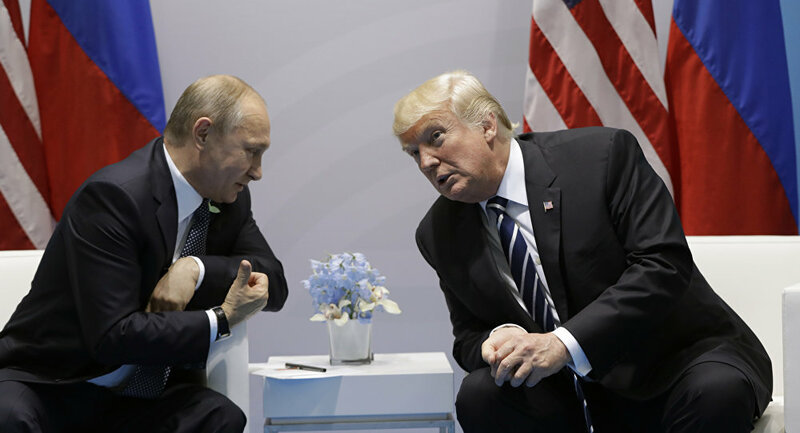 Putin said Washington’s measures "are evident attempts to use their geopolitical advantages in a competitive struggle with an aim to ensure their own economic interests at the expense of their allies." Putin added that while "it is impossible to tolerate arrogance toward our country forever," the Kremlin has "not seen the final version [of the US anti-Russia sanctions bill] yet, so we do not have a final opinion on this matter either." Russian parliamentarian Vladimir Jabov told Sputnik that the Duma has "a package of measures pending," and said Moscow still hasn’t "reacted to Obama’s hostile action taken on New Year’s Eve." Before leaving office, former US President Barack Obama ordered 35 individuals associated with Russia’s diplomatic corps to leave the country within 72 hours and seized two Russian properties located in the US. In any event, Jabov insisted on “not panicking” given the backdrop of Washington-Moscow relations that “were already at a low level.” Jabov is the First Vice-Chairman on the Duma’s Council of the Federation for Foreign Affairs. According to recently hired White House Communications Director Anthony Scaramucci, Trump "may sign the sanctions exactly the way they are or he may veto the sanctions" and work toward a "tougher deal" with Moscow. Scaramucci did not specify what a "tougher" deal would entail. White House Press Secretary Sarah Huckabee Sanders added "we’re going to wait and see what the final legislation looks like and make a decision at that point." Trump has 10 days, excluding Sundays, to veto the bill. The EU warned it would respond to Washington with its own set of measures because "the US bill could have unintended unilateral effects that impact the EU’s energy security interests," President of the European Commission Jean-Claude Juncker said Wednesday. "If our concerns are not taken into account sufficiently, we stand ready to act appropriately within a matter of days," Juncker added. Berlin has staunchly opposed the measures. "We believe the European industry should not become the target of US sanctions," a German Federal Government spokeswoman said during a briefing in Berlin yesterday. Francis Perri of the Paris-based Institute for International and Strategic Affairs told Sputnik France that the EU could harness its collective power to "introduce its own retaliatory measures on US companies," pass legislation nullifying the sanctions or demand concessions from Washington. Alternatively, Brussels could ask the World Trade Organization "to set up a working group to examine the matter so that the WTO could declare the US sanctions null and void and introduce countersanctions," Perri said.